European and Ukrainian authorities were limited by time and worked under the pressure of a possible energy catastrophe. The European Commission and the International Monetary Fund were Ukraine’s guarantors, and thus Russia reduced the risk of non-payment from the Ukrainian side. 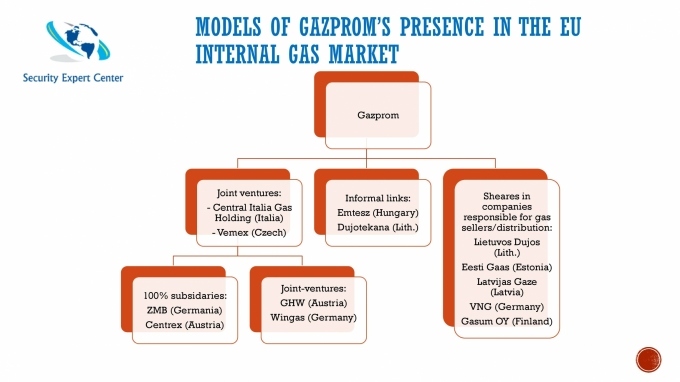 Transnistria had an estimated $4 billion gas debt before Gazprom. Gazprom required Naftogaz to pay $670 million. Ukrainian authorities have been forced to accept a sharply increased gas price since 2004. The high gas price was the cornerstone of the Ukrainian economy, which is very energy-intensive. 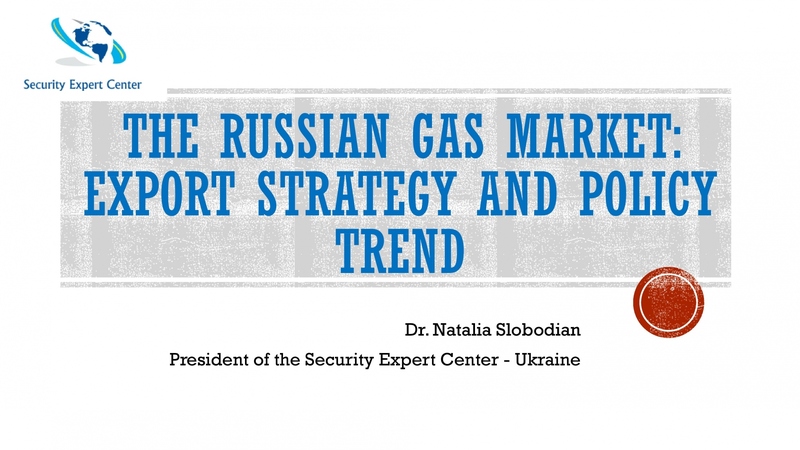 Over time, in 2010, Russia and Ukraine signed a new ten-year agreement that offered Ukraine a 30% discount on the gas price in return for a minimum 25-year extension of the lease for the Russian Black Sea Fleet at Sevastopol. Many European companies that have invested in the Russian energy sector including Siemens, BP, E.On, Wintershall, Eni, Enel, Fortun, EdF, Royal Dutch Shell, Total and others. "Gazprom" will increase to nearly half of purchases the gas from Uzbekistan and Kazakhstan in 2018 in the volume about 20 billion cubic meters. At the same time, import of Turkmen gas was confirmed by Russian officials. The Power of Siberia natural-gas project: commercial or political? 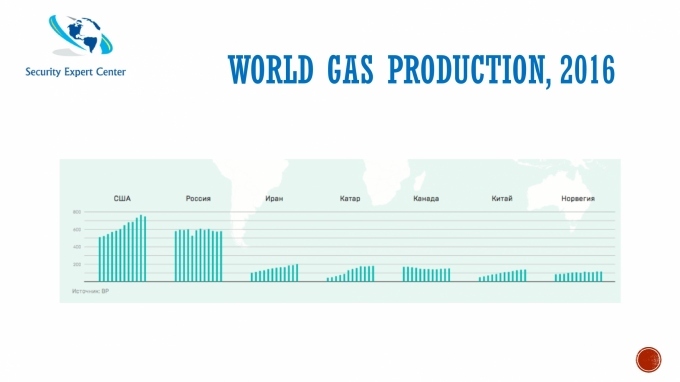 •During a presidential summit in Shanghai in May 2014, Russia and China signed a 30-year gas purchase and sale agreement reportedly worth $400bn. •CNPC (China National Petroleum Corporation) committed to buy 38 billion cubic metres (bcm) of gas annually from Gazprom. This volume amounts to 20% of China’s 2014 consumption and 60% of its 2014 gas imports.•The 38-bcm annual volume should be attained around 2025 after a ramp-up period of several years. The first exports could happen in 2019 or 2020. 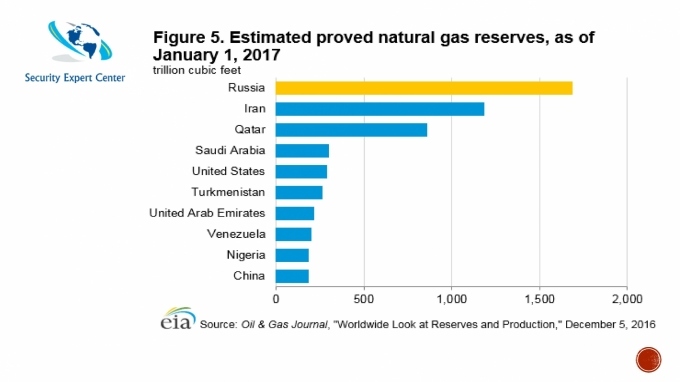 •The official view in Russia is that Power of Siberia, as the project is known, is only the first step toward building a strategic gas relationship with China, akin to the one it has with Western Europe. For China, the gas relationship with Russia is much more mundane. China does not ‘need’ Russian gas and is under no pressure to compromise on its interests, economic or political, in order to get it. In February 2009, Sakhalin saw the launch of the first plant to produce liquefied natural gas in Russia with the annual capacity of 9.6 million tons. Pipeline exports are accompanied by export tax, while LNG exports are free from such tax. Russia has not enough sources to buy the equipment and technologies of gas production apart from the United States and Europe. Russia subsidized the energy complex of so-called “union states” – Belarus and Armenia - manipulating with gas and oil prices. According to the estimates by the Russian Ministry of Economic Development, in 2015 annual GDP could reduce by 4%–5% if oil prices remain low at around $45–$55 per barrel. The government had to provide state support to the Gazprom by taking assets out of the National Welfare Fund, which has created additional risks for the budget. Ensuring the steady demand for external supplies is a serious problem for Russia. Given stagnating demand in the European market, Russia faces a serious issue of organizing the construction of large export infrastructure projects in the eastern direction Finding: Firstly, low oil prices challenge implementation of large upstream projects. 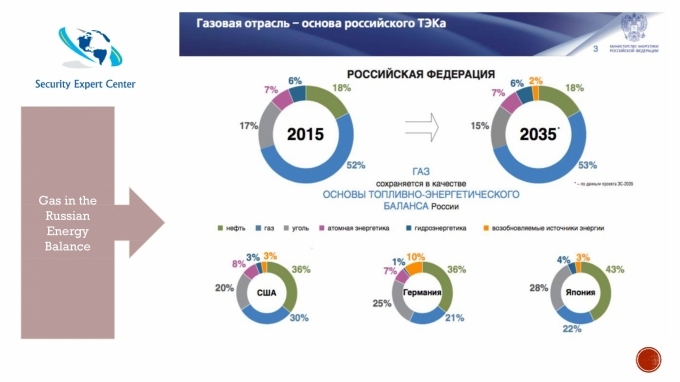 The second most important consequence is linked to the reorientation of Russian export policy through involving Asian companies in Russian upstream projects. Finding: It is highly unlikely that Russia will be able to expand its exports of gas and oil that was the major driver of the country’s economic development. The Baltic Pipe which is Polish initiative is on schedule, which is tight with a completion date of October 2022. Gazprom’s gas production reached a record low of 418.47 bcm/y in 2017 – roughly 65 % of aggregate Russian production, but the alternative producers currently have about 35 % including Novatek, Rosneft, LUKOIL, Gazprom Neft and Surgutneftegaz etc. Since only Gazprom has the legal right to export natural gas by pipeline, these companies had to sell their gas on the domestic market. Finding: The top managers of above-mentioned companies are ready to fight with Gazprom for the possibility to export the gas.